The eleventh of November is always a significant historical day. 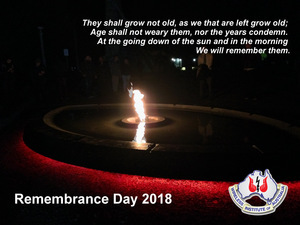 Remembrance Day 2018 is especially significant as it is the centenary of the signing of armistice between the allies of World War I and Germany. It took effect at eleven o'clock in the morning of the eleventh hour of the eleventh day of the eleventh month - one hundred years ago. The war to end all wars was finally over. WWI saw the mobilisation of over 70 million people and left 16 million people dead, with over 60,200 being Australians. As many as one third of those 16 million have no known grave. At the first anniversary in 1919 a two minutes silence was instituted as part of the main commemorative ceremony. A little known fact is that the silence was proposed by Australian journalist Edward Honey who was working in London at the time. After WWII the Australian and British Governments changed the name to Remembrance Day. 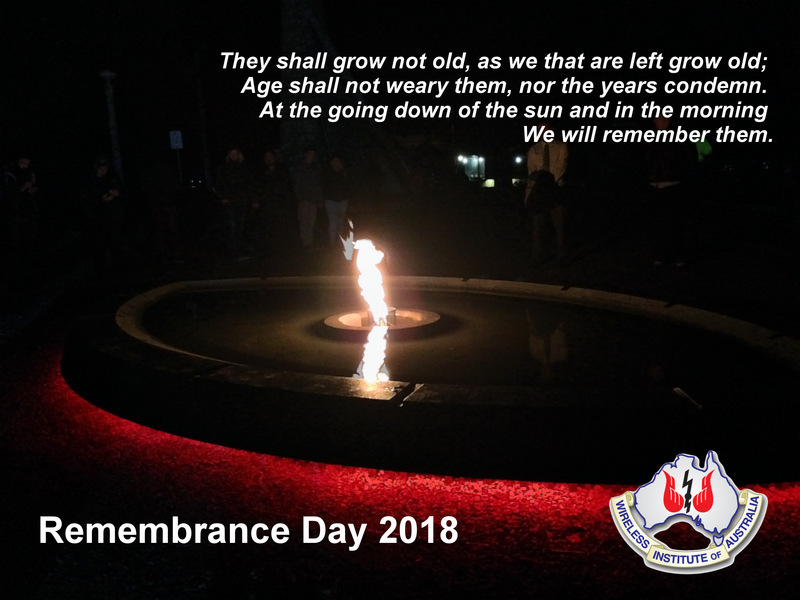 We remember all those who died or suffered for Australia's cause in all wars and armed conflicts on this day. So at eleven o’clock on November the eleventh you are encouraged to pause and remember. Reminder that VI100PEACE will be operating up to 1100 hours on the eleventh when the transmitters will fall silent.